Sister Dr. Rosalie Bertell was an American scientist, author, environmental activist, epidemiologist, and nun who is best known for her work in the field of ionizing radiation. Those who worked directly with her describe Sr. Bertell as real force, who was always on the side of inconvenient environmental truth and public health revelation. Sister Bertell was especially known for being a prophet in her time speaking bravely for the benefit of all of humanity. She courageously addressed some of the most serious developments within the sphere of advanced applied technology that had grave consequences for the entire planetary civilization. In this particular regard she routinely spoke truth to power regardless of the amount of self-sacrifice. Sr. Rosalie Bertell belonged to the Grey Nuns of the Sacred Heart and worked in environmental health since 1970. In 1983, she received the “Hans-Adalbert Schweigart” Medal from the World Union for Protection of Life. She was president of International Institute of Concern for Public Health from 1987 to 2004. She founded the International Medical Commission Chernobyl in 1996 and is also member of the International Medical Commission on Bhopal since 1994. 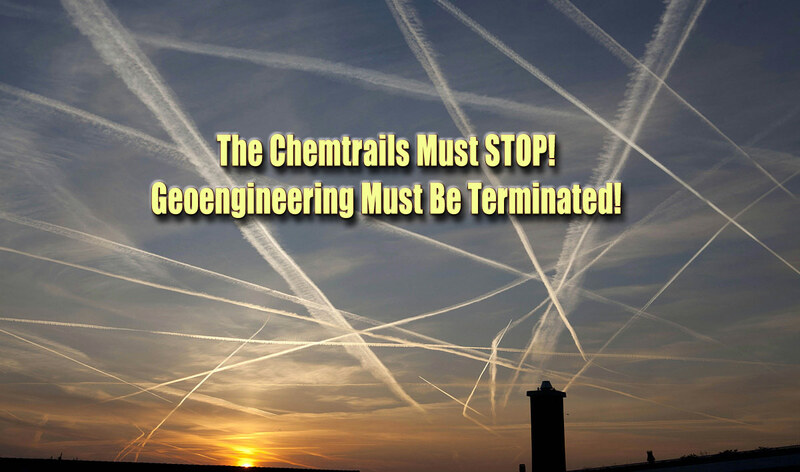 Bertell was also a vocal advocate against chemtrails. Sr. Bertell also received the “Right Livelihood Award” which is an international award to “honour and support those offering practical and exemplary answers to the most urgent challenges facing us today.” It is considered an alternate Nobel Prize. Sr. Bartell wrote a groundbreaking book titled “No Immediate Danger” which has since become a classic on nuclear power. She also wrote one of the earliest books on weather warfare, “Planet Earth: The Latest Weapon of War”. Both of these prescient exposés offered unusually honest treatments of the fatal flaws of nuclear energy and geoengineering, respectively. In May 2005, snowshoefilms interviewed epidemiologist Rosalie Bertell (Grey Nuns of the Sacred Heart) in New York City. The questions covered a wide range of topics, including ‘chemtrails.’ The 7-part interview was posted on Archive, and subsequently posted by others on YouTube. Here’s a 2009 updated edit of that interview, with chemtrail footage from Sister Bertell’s Mother House in Yardley, Pennsylvania (2007) and video from Chautauqua, N.Y. Note: Cliff Carnicom (LA, May 17 2008 Chemtrail Convergence) calls attention to 3 aspects of chemtrails: ionized metalic salts, organic fibers, and dessicated red blood cells. It is our view that these dessicated blood cells are used to disseminate mycoplasmas — in particular, weaponized mycoplasmas such as fermentans incognitus.